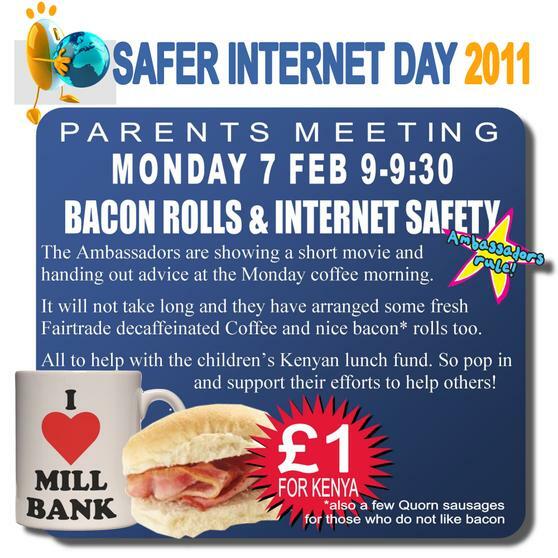 The Ambassadors gave a short presentation to the parents to mark SAFER INTERNET DAY, showing parents the two short films and the"Think u know" and Kid-Smartwebsites. Importantly the Ambassadors listened to the parents that came, so that they could act on any suggestions or provide them with any information that was requested. 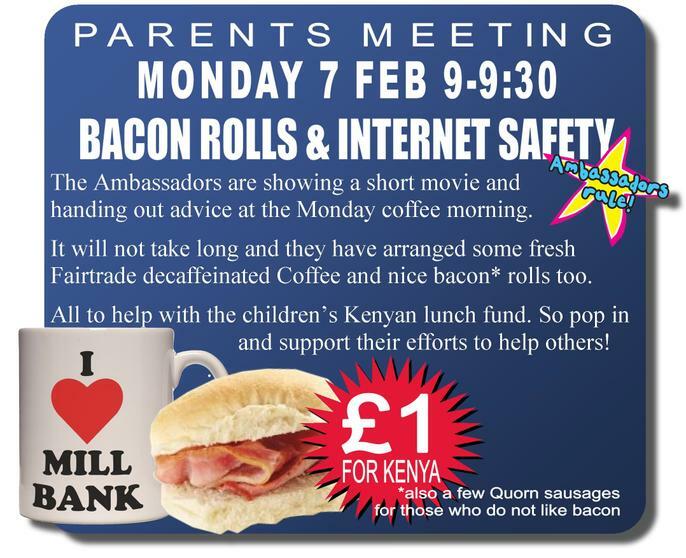 Safer Internet Day is on Tuesday the 8th but because the coffee mornings attract parents anyway, it was suggested to do the short presentation then. 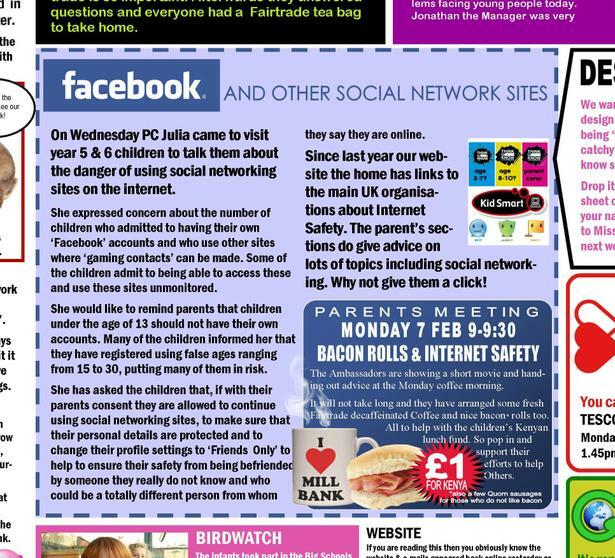 We did try and get an interview with someone atCEOPS ahead of again this year but again no one was available to help the children with their work. 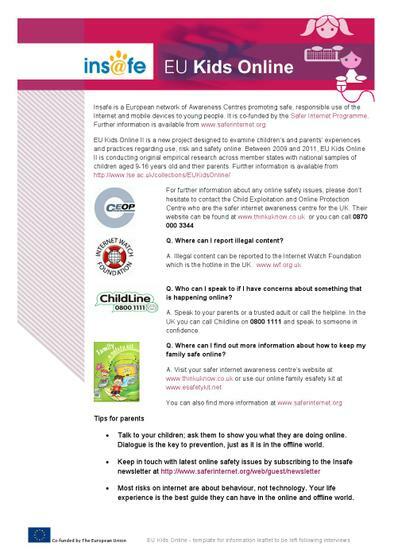 Advice for parents about Facebook from an American website but it is a very good booklet, the details on privacy settings are on this page. 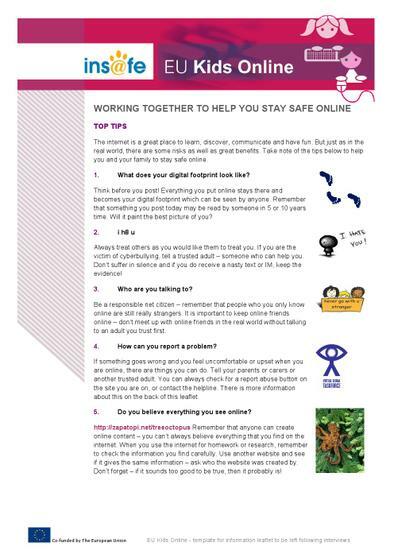 Advice for parents on online gaming from www.saferinternet.org.uk. There is not a lot of resources there yet but hopefully they will grow. 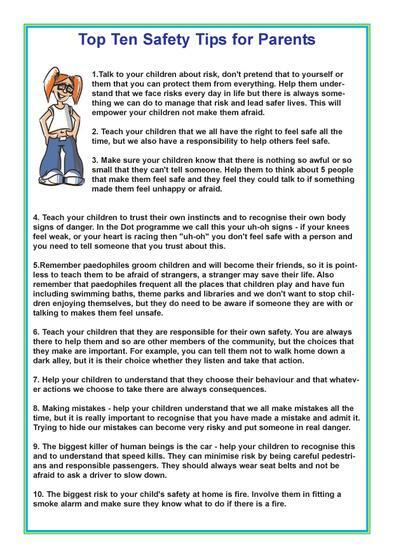 As last year the parents who came to these type of meetings are the type that take a keen interest in their child's wellbeing and to a big extent 'it is preaching to the converted'. But we would like to say a big thank you to those that did come along and who gave feedback to the Ambassadors it did help them.